At the gateway to Rocky Mountain National Park, our Estes Park, Riverfront Cabins and our secluded Vacation Home are the perfect getaway. Estes Park, Colorado is known for its warm, relaxing, connection to nature, as well as, the many activities the town and the National Park have to offer. At The Evergreens on Fall River, you’ll be in the heart of it all. Learn more about our Riverfront Lodging and our Vacation Home in beautiful Estes Park. Book your room Today! Make the most of your Estes Park, Colorado Vacation. We invite you to stay with us and enjoy our relaxing cabins along the beautiful Fall River. Our close proximity to Rocky Mountain National Park and downtown Estes Park puts you just moments from your next adventure. Call 1-888-686-3393 to check availability. Or click the link below to book online. We look forward to hearing from you! Click here for a list of property amenities at The Evergreens on Fall River, and cabin amenities at our Vacation Home. We invite you to stay in our Mountainside Vacation Home and experience the beauty that Estes Park and the Rocky Mountain National Park have to offer. Whether it is Winter, Spring, Summer, or Fall, Estes Park offers a wide variety of activities, sightseeing, wildlife viewing, and relaxation for all ages. 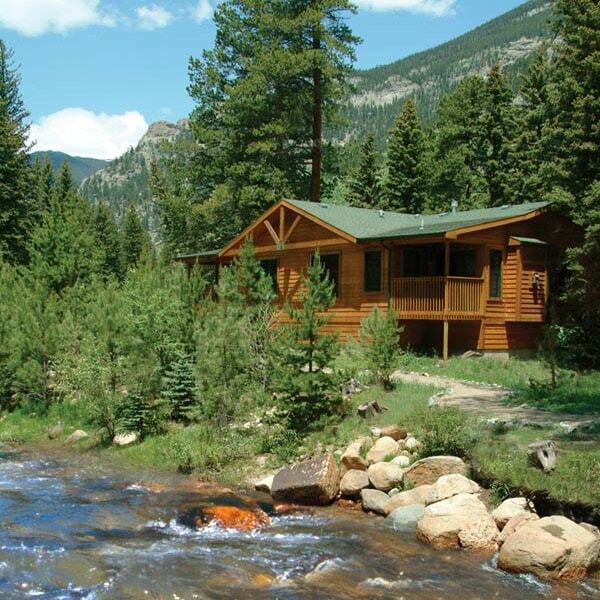 The Evergreens on Fall River is located 1.5 miles from Rocky Mountain National Park, and 3 miles from downtown. Our convenient location allows for quick access to all that Estes Park has to offer. For more information, please feel free to call or email us, and we will be happy to assist you. Click here to view a list of activities in the area. Click here to view a list of our packages. Click here to experience the beauty and grand, awe-inspiring sites that Estes Park and Rocky Mountain National Park have to offer. Also, view our wonderful collection of property photos. We look forward to your stay and to make our guests experience the best, please review our policies.